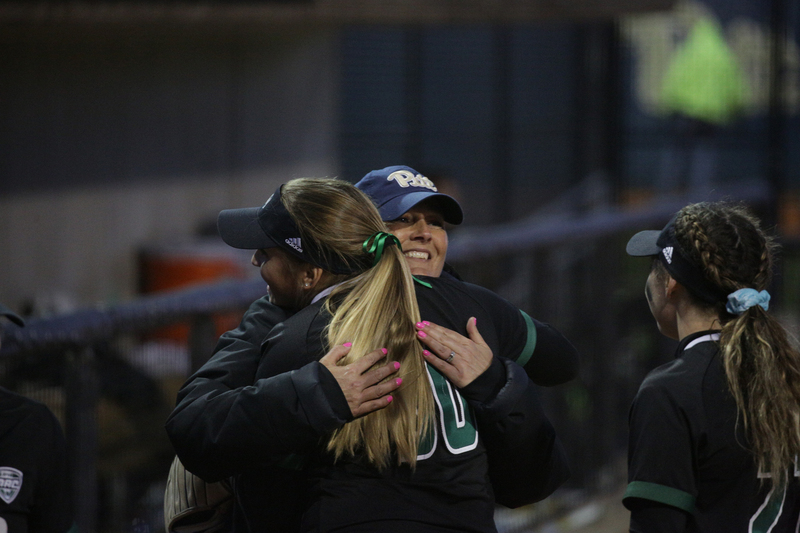 Head coach Jodi Hermanek congratulates her former Ohio University team after Pitt’s 11-9 overtime loss. 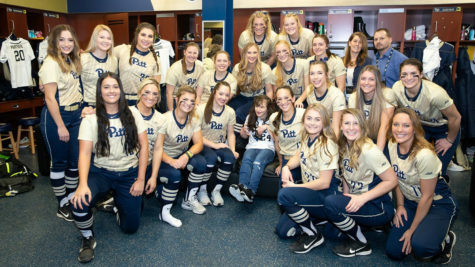 Pitt softball opened its home schedule against the Ohio Bobcats Tuesday afternoon, playing a thrilling back-and-forth affair that took almost four hours to complete and ended with the Panthers falling 11-9 in 10 innings. 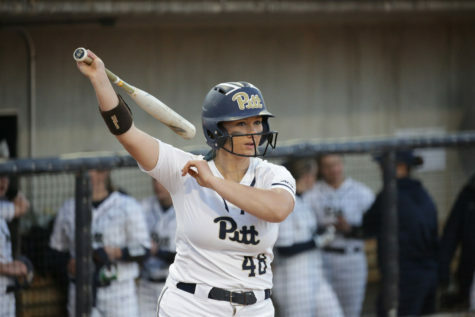 This was no ordinary non-conference game for the Panthers — its importance was amplified by the fact that head coach Jodi Hermanek led the opposing Bobcats from 2009 to 2018 before taking over Pitt’s program this summer. 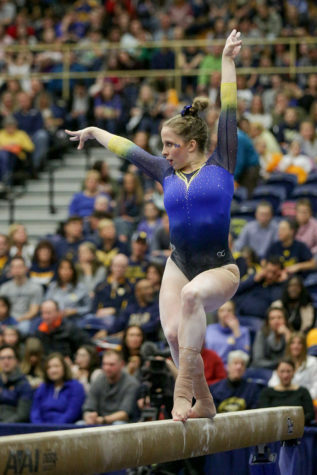 Despite moving on, Hermanek still recalled fond memories from her time in Athens, Ohio. In Hermanek’s first game coaching against her former team, things looked bleak for the Panthers in the early going. First-year pitcher Abby Edwards started on the mound, looking to follow up a strong outing against Duke over the weekend. Edwards surrendered back-to-back home runs to sophomore infielder Katie Yun — her first of three on the afternoon — and senior catcher Natalie Alvarez. The Panthers were down 2-0 before they could even pick up the bats. Opposite Edwards, sophomore pitcher Madi McCrady started on the mound for the Bobcats and was lights out through 5.2 innings. 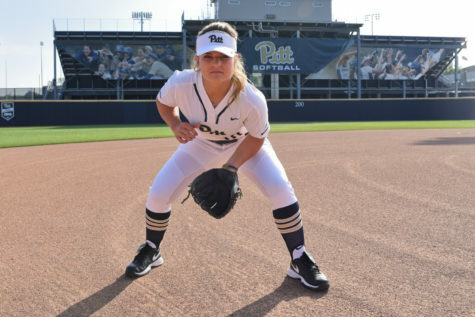 She allowed only two runs and struck out five Panthers before sophomore outfielder Hunter Levesque launched a two-run bomb, her second of the game and seventh of the year, off the back of the Ambrose Urbanic Field bleachers in left-center field to give Pitt its first and only lead of the game at 4-3. The game moved quickly through the middle innings. Redshirt sophomore Brittany Knight and senior Taylor Rahach held things down on the mound for the Panthers, allowing only one run between the third and sixth innings, while McCrady returned to her dominant form. The seventh inning, however, foreshadowed the marathon that still awaited. 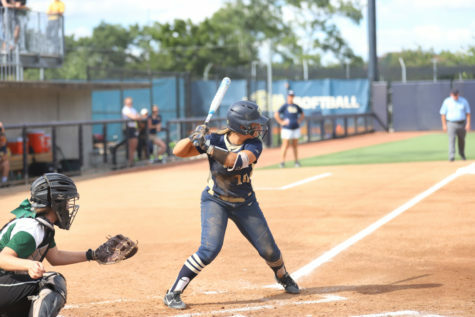 With Pitt holding a one-run lead and Knight still on the mound looking to close out consecutive wins for the first time this season, the Bobcats rallied. Yun hit her third home run of the afternoon and 11th of the season, a two-run shot off the scoreboard, to give Ohio the leapfrog lead at 5-4. The Bobcats continued their streak scoring four more to stretch their lead to five before the Panthers could gather three outs. Pitt would not go quietly, however. McCrady took the mound again for her seventh inning of work, seeking to polish off a complete-game win, but junior infielder Alexee Haynes had other ideas. She strolled up with the bases loaded and one out and proceeded to rip a grand slam high over the right field wall to bring the Panthers within one. The Bobcats then went to their bullpen. Head coach Kenzie Roark called on first-year pitcher Mackensie Kohl. 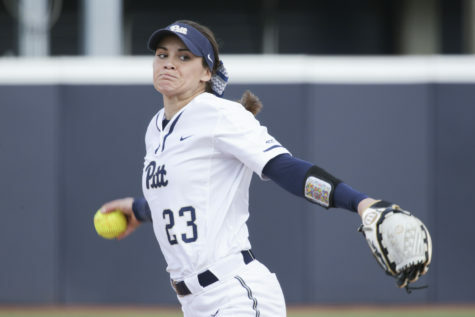 Pitt senior Gabrielle Fredericks stepped back in with a 2-0 count after her at-bat was interrupted by the pitching change and launched the eighth home run of the game to tie it up at 9-9. 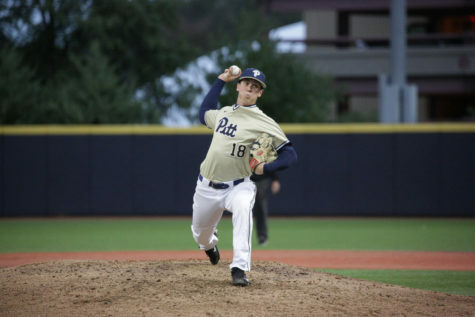 But that was all Pitt could muster, and the game headed for extra innings. Knight remained on the mound and masterfully navigated some Bobcat threats. Ohio placed runners on second and third with one out in the ninth inning, but Knight came up with a key strikeout, followed by a groundout to work around the jam. 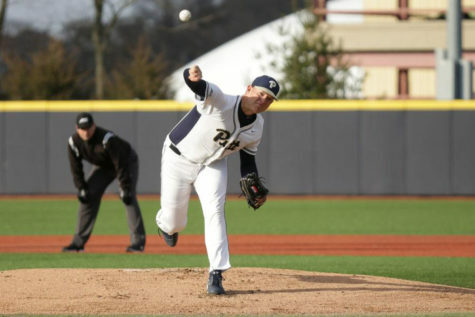 Knight returned to work in the 10th inning after the Panthers came up empty in the bottom of the ninth. After getting two quick outs, she surrendered a hit and consecutive walks. With the bases loaded, a fly ball off the bat of senior outfielder Deanna Cole drifted in between the center fielder, Levesque, and junor right fielder Connor McGaffic. The two miscommunicated and the ball bounced off Levesque’s glove, allowing two runs to score. Sophomore outfielder Hunter Levesque (5) before dropping Ohio University’s fly ball to center field during the 10th inning, allowing two runs from the Bobcats. Pitt lost the game 11-9. Kohl retired the Panthers in order in the bottom half of the inning to end the game. Ohio improves to 18-10 on the season and heads to Bowling Green this coming weekend to begin conference play against the Falcons. 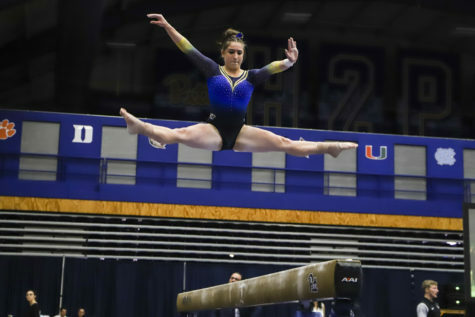 Pitt now sits at 4-22, already with four more losses than all of last season, although the Panther offense received a jolt of energy after scoring fewer than two and a half runs per game so far this season. The Panthers are staring down a weekend series with a strong Virginia Tech team and look to climb out of their last place position in the conference standings. They host the Hokies at Vartabedian Field beginning Friday evening.